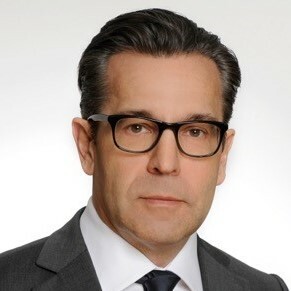 Stefan Gabriel, former President of 3M New Ventures, founded and was in charge of 3M’s global Corporate Venture Unit to “invest in technologies that lead into new territory and re-infect 3M with an innovation virus”. He drove the company’s on going efforts to identify, acquire and develop new-to-3M technologies and businesses using venture style funding and management. Stefan reported to the CEO and CTO of 3M Inc., was member of the New Ventures Board, the Executive Conference, Corporate Technology Operations Committee and the Innovation Board. Between 2008-2015 he built the global Corporate Venture organization with 6 global offices to execute minority venture investments (early and later stage) with strategic footprint in key focus areas of 3M Business Groups: Industrial (incl. Automotive), Electric & Electronics, Health care, Safety & Security and Consumer. Stefan was awarded “Best Innovator 2010/2011 for Best Corporate Venture Unit” by the German Federal Ministry of Economics and Technology. Due to his strong leadership 3M New Ventures was globally listed as top 5 “Most influential Corporate Venture Units in the industrial sector” by GCV 2013. Previously to his engagement within the multi-technology company 3M, he worked for more than 23 years for BMW Group in Germany and UK. His areas of responsibility included Manufacturing Planning of Motorcycles, Business Development, Strategy for BMW Group Powertrain and BMW R&D’s Innovation Field for “Future Automotive Concepts and Concept Vehicles” for the brands BMW, MINI and Rolls Royce, whereby he received prestigious innovation awards (e.g. Outstanding Corporate Innovator “OCI” Award, US 2004) for BMW Group. He studied manufacturing engineering in Berlin and holds a “Dipl-Ing” degree. Since 2010 he is teaching at the University of Huddersfield as Visiting Professor for Innovation and Entrepreneurship. Since March 2015 he worked as Executive Corporate Advisor with C-Level Board members of five Fortune 500 Corporates (in Germany, US and Japan) to start, develop and advise on how to strategically direct, build and operate their own Corporate Venture Units, review R&D’s Innovation Strategy including technical roadmaps and new business models or restructure their exciting CVC Units to become more strategic. For his own Family office in Munich he has made several Business Angel investments since 16 years. With an unabashed passion for innovation & technologies and his long-term experience in venturing he drives a huge network of investments, innovative businesses and technologies scouted through global open innovation process and VC network. Stefan was born January 1962, today lives in Munich, is married and has two daughters.